San Diego, CA (PRWEB) April 27, 2007 -- If you have ever dreamed of exploring the country in a luxury RV, but know you wouldn't use it enough to make the financial commitment, you'll think shared ownership makes sense. This is the same conclusion Jim Palmer came to before launching CoachShare, Inc. "My wife and I wanted to take a few trips a year in a high-end coach, but that didn't justify the cost or hassle associated with purchasing our own," Palmer says. That is when CoachShare, Inc. was born. CoachShare has launched an innovative new fractional ownership program that allows participants to enjoy the benefits of luxury motor coach ownership without the hassles and high prices normally associated with luxury coach travel. Luxury motor coaches, (motorhomes) the largest and most lavish form of recreational vehicle (RV), can have sticker prices ranging from $100,000 to more than $500,000; CoachShare's fractional ownership program divides the purchase and operating expenses between multiple owners, bringing luxury RV vacationing within the budgets of many American families. Tai Quan, a CoachShare owner in San Jose, CA, says, "This was the right decision for us. It is a great way for us to find out whether RVing is right for us long term without spending $250K to run the experiment." "Before this program, luxury RV ownership posed a serious financial drain as well as a management hassle for busy families," explained CoachShare CEO Jim Palmer. "When you only use this type of vehicle for a few weeks each year, the high purchase price and expenses for storage, maintenance and depreciation are difficult to justify. In addition, the cleaning, storage, and constant maintenance can be a logistics nightmare. Through this shared ownership program, the costs are divided among a small group of Share owners and the coach is professionally managed by the CoachShare staff. The program allows owners to enjoy the ownership of their luxury RV for as much as 85% less than the cost of private ownership." Fractional ownership has been around for more than 20 years in the private jet, vacation home, and yachting industries. In recent years, major players like Marriott, Ritz Carlton, and Four Seasons have moved into the fractional vacation home market seeing the benefits for consumers when compared to timeshares or rentals. "Fractional ownership offers a much more exclusive experience with higher levels of service and more upscale amenities than timeshares or rentals can typically provide," Palmer explains. 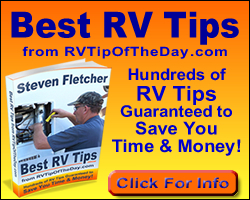 Each CoachShare RV has a small group of owners, typically six to twelve. Owners agree to a three-year term of ownership during which time CoachShare manages all the ownership details, including coach delivery and pickup, storage, insurance, maintenance, cleaning and DMV fees. When the term expires, the RV is sold and the proceeds are divided between the owners who have the option to invest in a new luxury RV with CoachShare. "You have the benefit of owning a beautiful, fully equipped coach without the worries of a full time owner," says Donald Skinner, CoachShare owner from Los Angeles, CA. Coaches are delivered with all the high-end amenities needed for a complete vacation: cookware, dinnerware, appliances, patio furniture, satellite radio and TV, home theater system -- even monogrammed bed linens and towels. Members only need to pack their clothing, since everything else they might need is in the coach at delivery. CoachShare even provides a comprehensive two-day driver training course so owners feel comfortable and confident behind the wheel. "There is no other option on the market today that provides the value and convenience that define the CoachShare program," Palmer concluded.